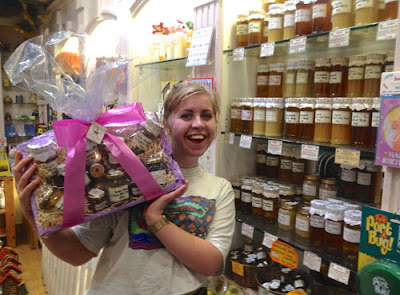 > Twitter Prize Draw Winner picks up her hamper! Heres a photo from last night when Jess, Twitter Prize Draw Winner picked up her free £50 luxury honey hamper. She was VERY pleased! Keep and eye on both our twitter and Facebook sites for more free honey, gift give aways.